Thanks to all involved for getting this website started...and for the many pictures. Our middle son is getting married October 1, 2010, in Chicago, so this is a busy time for us. His fiance, Emmy, is a really nice gal. Youngest son has been married for almost three years; he and Erica (also, a doll) are trying to start a family. It was wonderful meeting very nice people there and I feel that I gained quite a bit of confidence with the small class size. Not being too far from home was also advantageous. Susie Shiel Newman has a birthday today. New comment added. Liz McGinnis Strodtman posted a message on Susie Shiel's Profile. New comment added. Happy birthday, Susie. It's been a long time since I've seen you but am sure you are doing well. God bless you and your family. Kate (Kathy) Krider Satchwill posted a message on Susie Shiel's Profile. What a treat it always is to think about Shiel "Twins"--such an amazing family y'all have. Is there a super fun story about your 'birth'-days 75 years ago? Reactions must have been some kind of fun--and now, all these years later, I wish you birthday happiness, double the memories, all that double the pleasures stuff--and wows for each of your really special individual achievements, celebrations and oh the possibilities we all hope to explore for the next 25 years--at least!! Going for 100 now, right? Cheers to both and each of you. Susie Shiel Newman has a birthday today. Liz McGinnis Strodtman posted a message on Susie Shiel's Profile. Happy birthday in a couple of days. 75 is a nice number if you can stay healthy. Just think of all the time you are able to spend with family. God bless. Though I'm a few days early, better early than late. Hope this has been a good year for you and that 2017 is even better. Where are your kids and who are your grandkids? God bless you and yours. Susie Shiel Newman posted a message. Hi Katie, I wish you a very HAPPY BIRTHDAY; hope you celebrate it in style. No doubt there will be lots of fun with your family ---any time with you is lots of fun. Hope 2017 is the best year for you ever! Susie Shiel Newman posted a message. New comment added. HAPPY Belated Birthday---hope you did something fun!! All the best to you in theNew Year!! Hope you are having a great Birthday with family and friends. The best to you In THE coming New Year! You are probably celebrating it with your children and grandchildren who live nearby. Having trouble getting my message to go to you. This is the third time @ I hope it will work. I hope proud had a splendid time your B-day. WOOPS, guess I am a day late. Hope Joe took you to a nice place for your b-day. You deserve all the best. Have a nice weekend, too. Susie Shiel Newman added a comment on Profile. 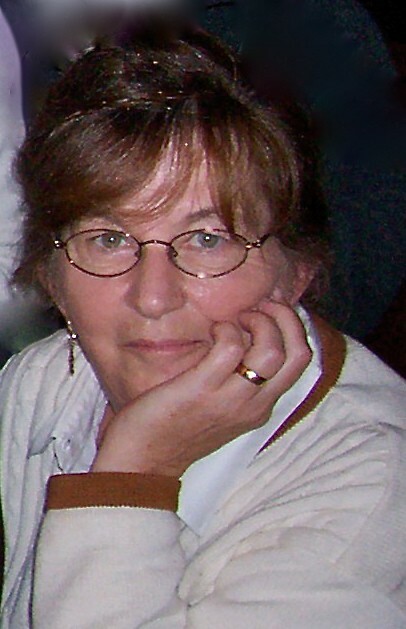 Gertrude H. Shiel, photo taken November of 2008. Mom passed away on 9/12/2010. Bradley and Erica's wedding in Roanoke, VA on 10/06/2007. Scott and Emmy's wedding in Chicago, IL on 10/01/2010.